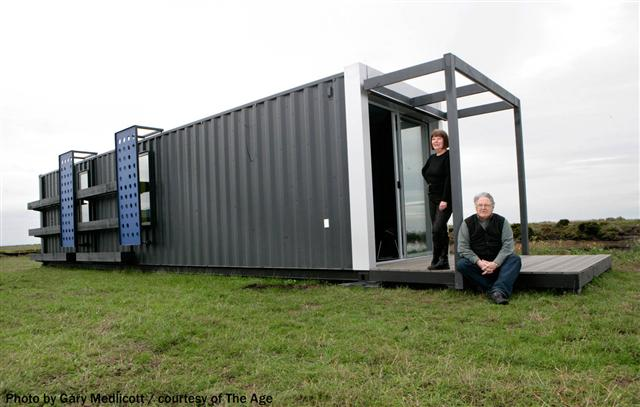 It seems as though the world has gone on a tiny home craze, but it has barely scratched the surface with shipping container homes. 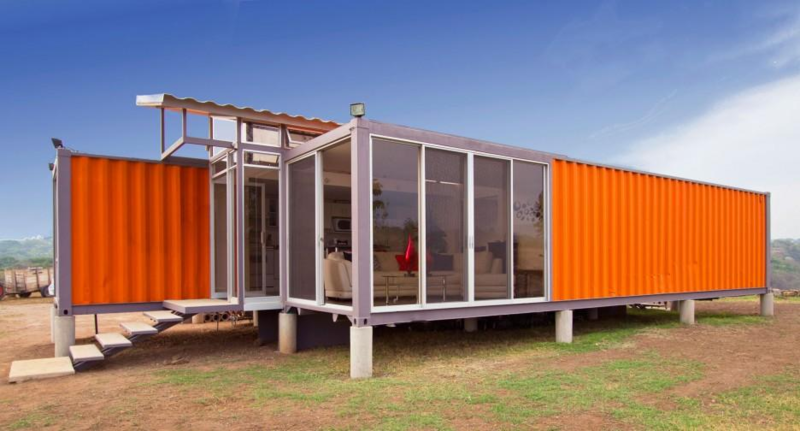 Instead of the tiny home that must be built from scratch, shipping container homes take the original freight container and create a home directly from that. It’s a great way to recycle old shipping crates, and the end product can turn out really cool. 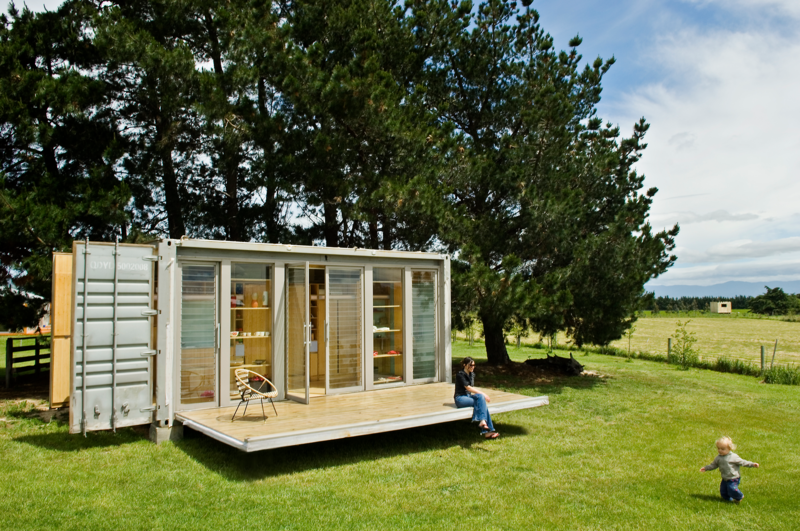 Thinking about creating your own home from a shipping container? 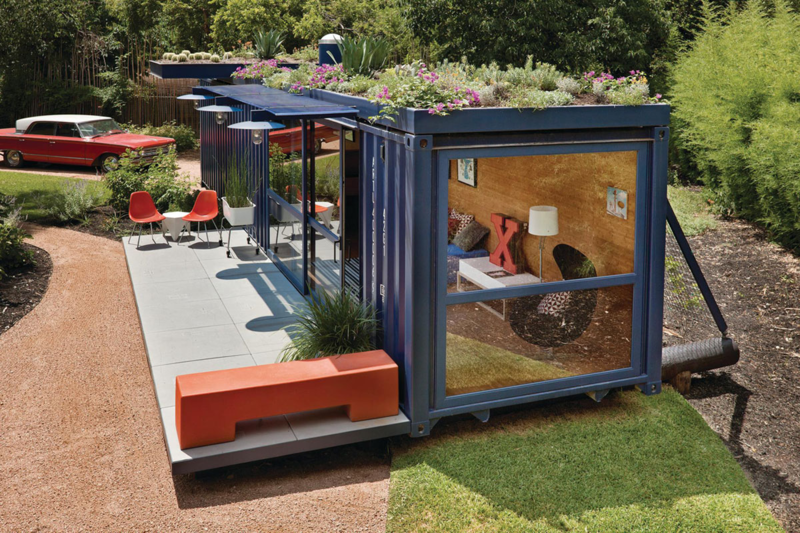 Check out these ten cool shipping container homes below for inspiration! 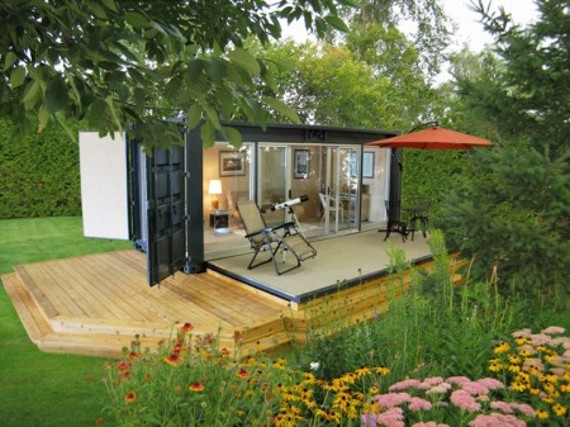 If you are looking for a minimalistic style shipping container that allows you to be closer to nature, this is it! It has an amazing green roof full of live plants that can be harvested, and also insulate the home. Additionally, the large windows let natural light in to reduce energy costs. This home is perfect if you need a bigger space! 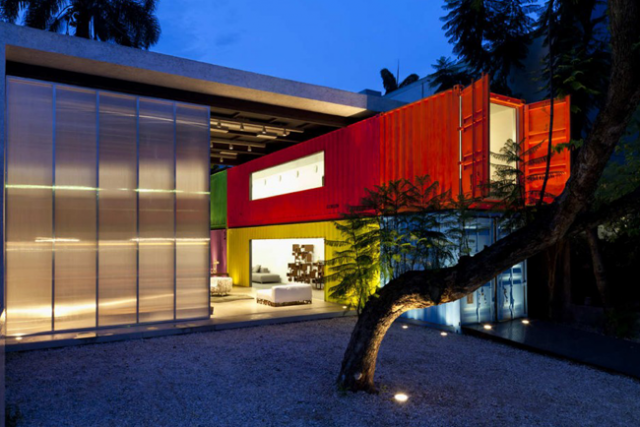 Essentially, it has combined several of the shipping container freight crates to make this large, family home. Perfect for a family, or to rent out additional space. 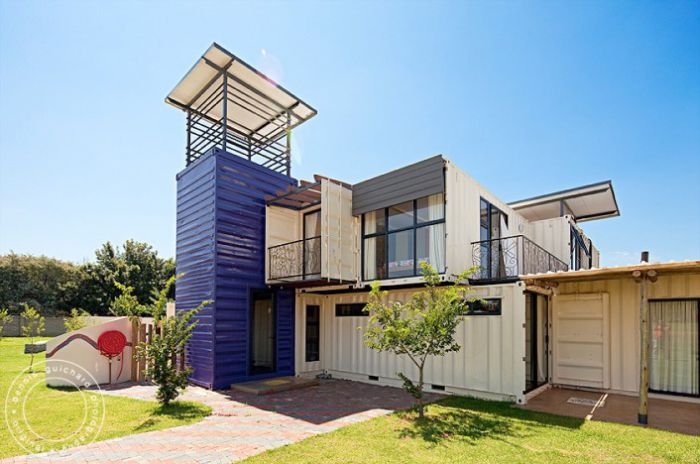 This looks like a large ship landed on shore and decided to build a home from its shipping containers. With nautical inspired circle windows and a splash of orange and navy blue mixed in with the white, this is an incredibly unique and one of a kind home. Just the bare bones shipping crate house, but it’s still beautiful in it’s own right! They took the original shipping containers, and added beautiful wood accents and large windows to let the light flow in. Amazing, simple and easy to make. 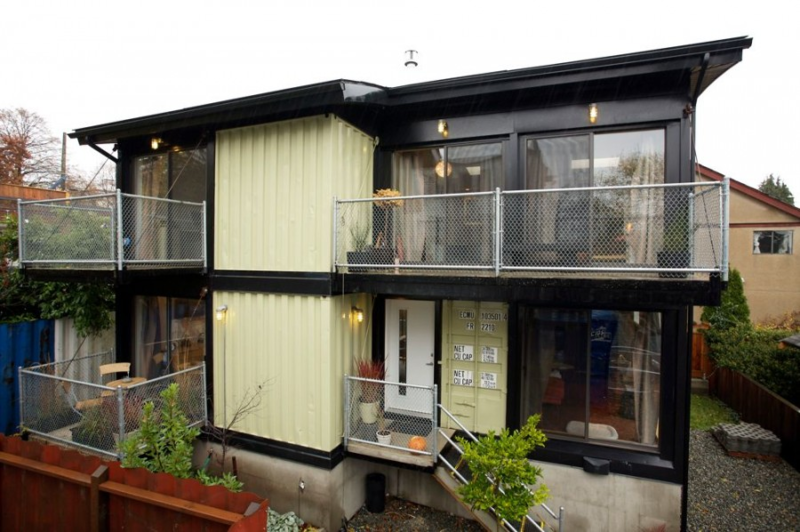 These two designed their dream home from a shipping container! Everything about this is modern, from the navy blue panels to the stark gray color and square pergola. Again, the crate home can look very modern! With its boxy, minimalistic design and the contrasting colors used, as well as the floor to ceiling windows, this is definitely a modern home. On stilts to prevent damage from flooding and rot underneath. 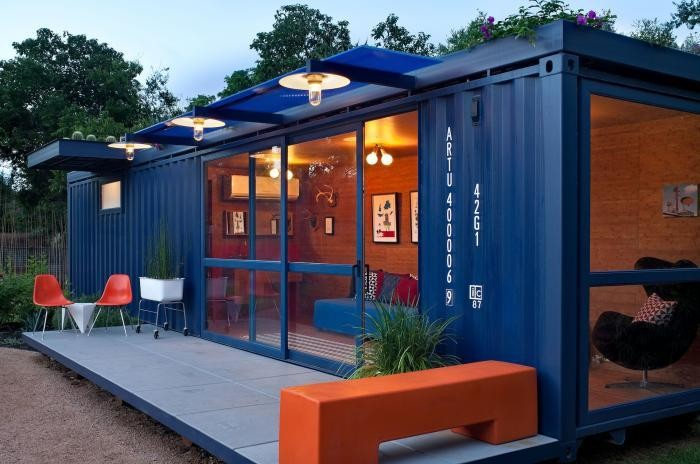 You’ll want to spend all your time in this cozy backyard freight crate home! It is modern and upcycled in style, using the charcoal gray color with splashes of orange, as well as the charming lettering from the original shipping crate. If you love lounging outside, this one is for you! 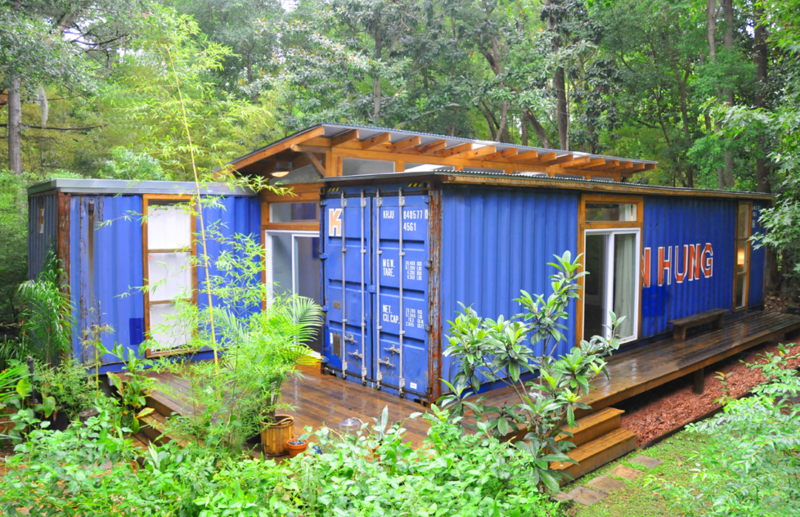 THis home has a beautiful deck springing right out from the entrance of the shipping container home. And check out those wall to wall ceilings! Find your favorite, tranquil space and move your family into this shipping container home with a large field as your backyard! With the shipping containers tipped on their side, standing up tall, etc. 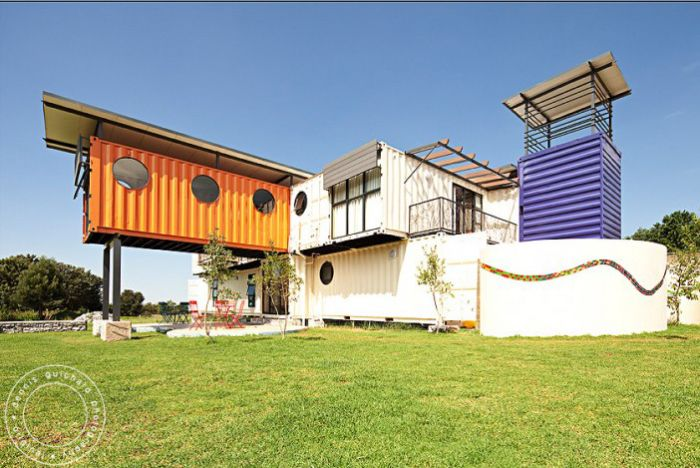 these freight containers have been combined beautifully to make this mansion with a beautiful tower and rooftop pergola.